The people of Burkina Faso, known as Burkinabe, celebrated 58 years of independence from French colonial rule on August 5. Burkina Faso is one of the eight African countries where ACT works. In this article we try to understand its people through the lens of its history. The middle Niger region that includes modern day Burkina Faso was part of the Mossi kingdom, which itself formed part of the ancient Ghana empire that dominated that part of West Africa (circa 7th – 13th century). In peaceful times the kingdoms seem to have acted as ‘middle men’ in the trade from the forest regions to the cities of the Niger and northern Arab nations. Following the French invasion of 1896 and following five years of Mossi resistance, the French gained control of the capital, Ouagadougou in 1901. The borders of the country were not properly established until 1919 when the territory was split from Mali and renamed Upper-Volta (Haute-Volta in French). The earliest years of colonial rule were a heavy burden on the population as demands for labour, taxes and cotton were raised “above all tolerance” (according to a 1932 inspection mission). This led to high rates of migration to areas of weaker colonial rule to escape the injustices they were facing. The desire for self-rule led to the formation of the first Upper-Voltaic government comprising of many Black members of the colonial set-up in 1957. This subsequently led to a declaration of their independence from France on 5th August 1960. In 1966 peaceful protests sparked by weak economic performance and proposed austerity measures saw a coalition of Union leaders, traditional chieftains and religious leaders support a general strike. School girls carried placards calling for “Bread, water, and democracy” through the streets of Ouagadougou and protests called for the government to resign. The government declared the strike illegal and proclaimed a state of emergency. But the protests continued and quickly became a coup d’état and Lt. Col. Sangoulé Lamizana was placed at the head of government. Lamizana was a dictator and remained president until 1980, although he was overthrown in a coup in 1980. A series of coups followed, and culminated in the popular coup of 1983 led by Thomas Sankara. Thomas Isidore Noel Sankara (21 December 1949 – 15 October 1987) seized power in a coup in 1983 at the age of 33. He remained in power for four years and adopted an –ambitious social and political reform programme. As a Marxist and Pan-Africanist he was a controversial figure during his time in power, and remains so today. It is worth highlighting some of his achievements as well as his failures. It must always be remembered that he was a military dictator, but highly regarded by the people. One of his first acts was to rename the country from the Republic of Upper Volta to Burkina Faso; ‘The Land of Upright People’. – He redistributed land from the feudal landlords and gave it directly to the farmers. Wheat production rose in three years and more than doubled, making the country food self-sufficient. He also opposed foreign aid saying “He who feeds you controls you”. -Using a system of voluntary labour, his government built roads and a railway network without foreign aid. -He vaccinated 2.5 million children against meningitis, yellow fever and measles in a matter of weeks. -He initiated a nation-wide literacy campaign, increasing the literacy rate from 13% in 1983 to 73% in 1987. -He championed women’s rights amending the constitution to require that the President have at least 20% women in their ministry. He banned female genital mutilation, polygamy and forced/child marriages. He set up the Union of Burkina Women, which taught parenting, home economics and AIDS prevention (the first such program in Africa). -He established Women’s Day (8th March) as a day of gender role swap, which saw men do the domestic chores. Men were also required to give their wives half of their wages. -He tackled governmental profligacy, lowered his salary, sold the government’s fleet of Mercedes cars and replaced them with the cheapest available model and required all state employees to wear locally sourced and produced textiles. But it wasn’t all positive. Sankara’s authoritarian nature led the government to deal with dissent in a harsh and unproductive manner (although killing was rare, violence was not). -He created the Revolutionary Defence Committees, which were little better than gangs of armed thugs that went around intimidating and extorting the population and were complicit in arbitrary violence and rapes. -His People’s Revolutionary Tribunals, although initially designed to be a forum in which citizens could accuse ministers of corruption, became little better than Kangaroo courts exploited to settle personal scores. -Teachers became dissatisfied with educational reforms, eventually going on strike. Instead of listening to their concerns Sankara simply dismissed them all and replaced them with volunteers. This policy was an abject failure. Sankara’s alignment towards Cuba, the Soviet Union and China in addition to his Pan-Africanist stance made him an undesirable ally in the eyes of the Americans and the French (among others). So it was little surprise when Sankara’s best friend and right-hand-man, Blaise Compaoré (also a military man) staged a coup in which Thomas Sankara was murdered. 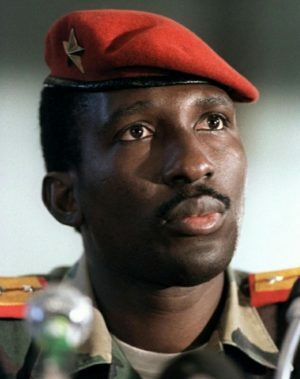 Compaoré reversed many of Sankara’s policies and rejoined the global banking system, taking out huge loans (most of the money is unaccounted for). Compaoré remained in power for 27 years until he was ousted in a coup in 2014. During the coup, the BBC described Compaoré as the strongest ally of the French and Americans in western Africa. Coincidentally, Burkina Faso has also become one of the top producers of gold on the continent. Compaoré fled to the Ivory Coast and is currently being tried in absentia in Burkina Faso for the killing of civilians in 2014. 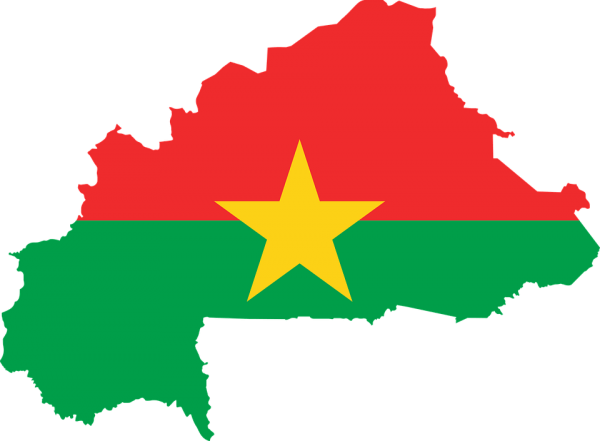 Burkina Faso – Where are we now? Roch Marc Kabore was democratically elected in 2015, promising to improve education and healthcare provision, and reduce youth unemployment. Burkina Faso is a majority Muslim country with a sizeable (23.2%) Roman Catholic minority. The population of Burkina Faso is over 18 million. Like many other countries of Africa, it is a young nation – nearly half the population is below age 15. The average life expectancy is 59 – lower than the global average but similar to that of neighbouring countries. About 68% of Burkina Faso’s population is rural (32% urban) and live in small villages. About nine-tenths of the population is engaged in subsistence agriculture or raising livestock. Conditions are often made worse by droughts. School enrolment is one of the lowest in Africa, despite the government devoting a large portion of the national budget to education, and about one-fourth of the population aged 15 and older is literate. French is the language of instruction in both primary and secondary schools. Burkina Faso is embarking on a new chapter in its history and one in which the ‘can do’ attitude of Burkinabés will play a huge part. In next week’s blog we will look at the work ACT, in collaboration with local partners and communities, is doing to help these upright people achieve their goals. 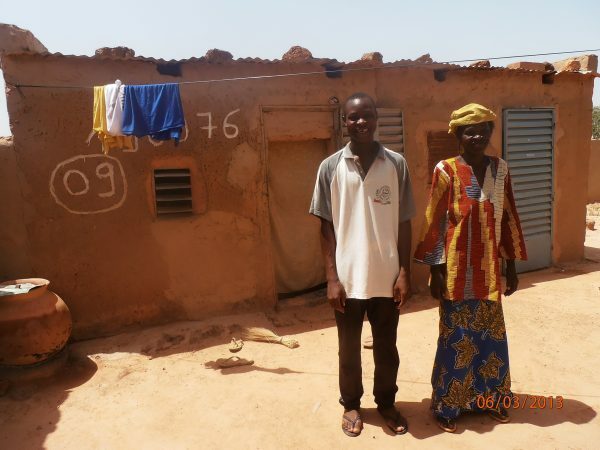 You can read more about the work ACT is doing in Burkina Faso here. 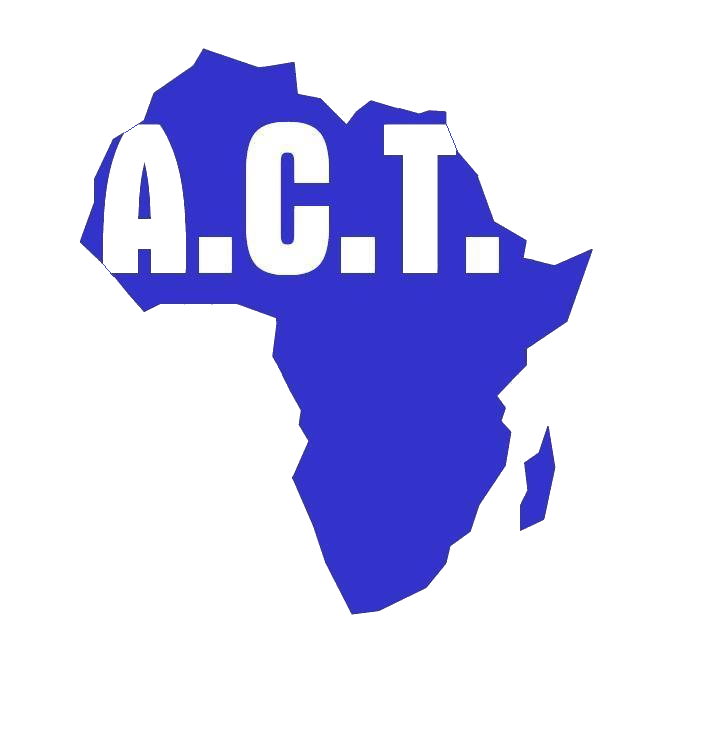 To get involved with ACT click here.